I bought this once and quite liked it I guess. It smells like make-up but in a nice way but stings a little upon application. 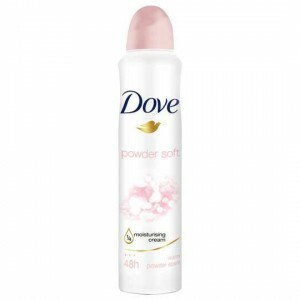 Dove powder soft deodorant is a effective deodorant that works.It has a nice fragrance and is a brand that is reliable to buy for deodorants. How would you rate Dove Powder Soft Deodorant?